We recently found Feather Hearts on Instagram and loved their brave and different slogans they use on their tees! Tees rock slogans including 'Bad News Babes, Prowlin, See You In Hell and Misfit. They are stocked by one of our favourite stores Urban Outfitters and have become a hit with bloggers and fashionistas alike. We couldn't wait to jump at the chance to style these up so decided to do 2 looks with our tees one smarter and one more casual to show how easy it is to wear them! We even loved them so much that we both wore them out for dinner after! Nothing is more us than a cool tee that we can make our own and as you can see by our shots our true personality and style come through in our looks! I styled the Prowlin Black Vest which you can buy online at Urban Outfitters. I love the shape of it with the deep cut under arms and oversized style and it looked great with everything I tried on. For my first smarter look I wore it with my Topshop black and white tile print trousers, which I have been wanting to shoot for ages but was waiting for the right outfit! 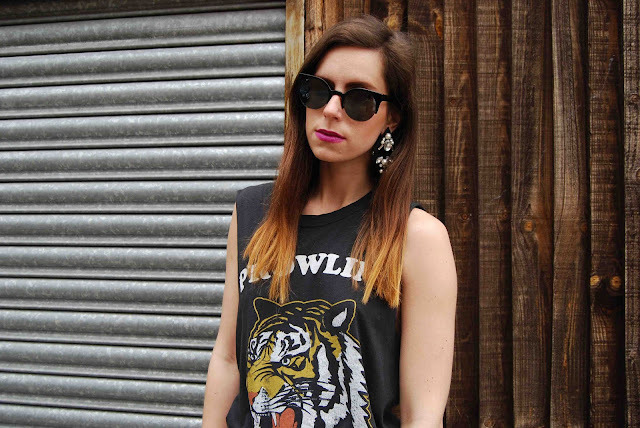 I found it looked perfect with the Prowlin Tee, Premium leather jacket and high black sandals. 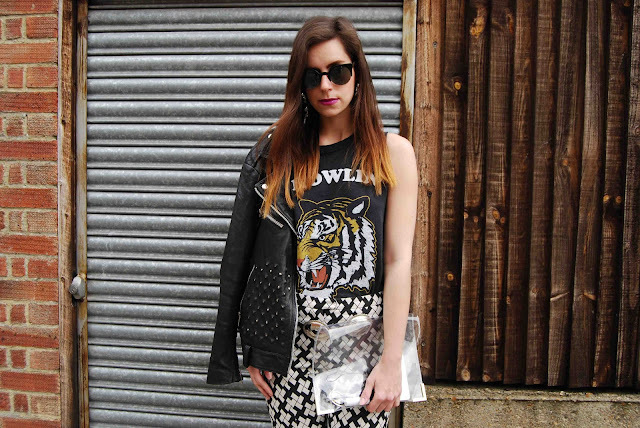 I accessorised it with Black Sunglasses, Transparent clutch and my vintage silver belt. Clean yet interesting! For my 2nd more casual look I sported a more boho feel and wore it with my vintage denim shorts, layered with a mesh top underneath and fringe waistcoat. 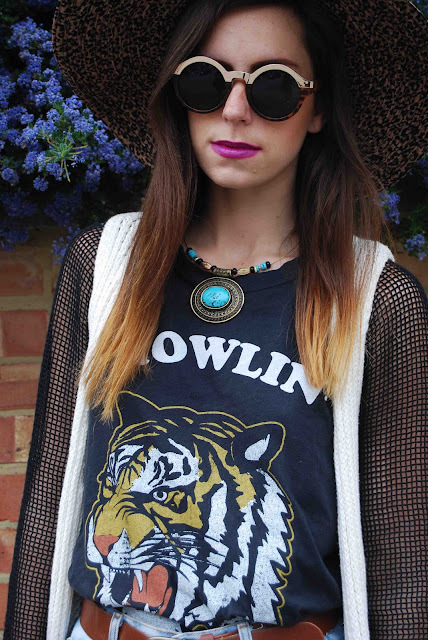 Accessorised with a tan belt, turquoise necklace, oversized floppy hat and my favourite sunnies! I could not be more pleased with both Amy's and my looks! When we get a style challenge its exciting and fun and we hope you enjoy the outcome!